It depends on your definition of “teamwork.” It is absolutely critical if you define teamwork as everyone having a shared vision; clear roles and responsibilities; delivering their best to help the entire unit succeed; and keeping personal differences from derailing the group’s performance and results. Fleetwood Mac, Led Zeppelin, and Pink Floyd created some of their best work when they weren’t getting along. William Frawley and Vivian Vance created the iconic characters of Fred and Ethel Mertz on the “I Love Lucy” series. Yet Frawley refused to speak to Vance on the set for the show’s entire run as you were watching their performance. That happens when you have superior talent who understand expectations and are committed to success. A team that performs AND gets along is the best of all worlds. But if I have to choose, I’ll take talented professionals with a shared vision, clear roles, and a commitment to mutual success. Randy Pennington helps leaders deliver positive results in a world of accelerating change. While I accept that teamwork is essential to business achievement, I do not believe that having functioning teams ensures your success. A few years ago, I did a fascinating project for a subsidiary of Johnson & Johnson. It seemed that in their hiring of new colleagues and their selection of members for various teams, they had achieved their goals in terms of gender and ethnic diversity – something we should obviously applaud and support. However, where they had fallen short is in regards to diversity of personality and strengths. Managers surrounded themselves with people who reflected their own ideas and bias. Teams were filled with ethnically diverse people of all races, who all happened to think exactly alike – that’s why their managers had assembled them! Today’s headlines display a powerful example: do you believe there was diversity of thought, personality, and strengths at the NFL when their team was making decisions regarding the issues that have dominated the recent news? I don’t. Teams are most productive when they stimulate innovative thought and propose original approaches to achieving the goals my friends have written about here. If the team members all think alike – every person in the group is unnecessary, except one. I’ve never worked with a business or organization that didn’t aspire to teamwork, which suggests that it is very important. The rub is not as many businesses achieve it as aspire to it. Creating a team is much more than renaming the “accounting department” the “accounting team.” The substance of teamwork is about people working together to achieve more than they could have working individually and independently. But like anything important, it requires an attentive leader who can focus team members on collaborating and reward them for both individual and team contribution. It is often easier to work independently and unconcerned with the impact your effort has on those around you. If you believe in teamwork, start by knocking down the barriers that keep people from working together. How do you find out what those barriers are? Just ask your employees, what keeps you from working as a team. They’ll tell you. And since teamwork really is important, get busy removing those barriers. 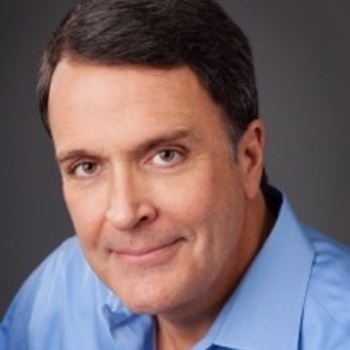 Mark Sanborn is president of Sanborn & Associates, Inc., an idea studio for leadership development. He is an award-winning speaker bestselling author of books including, The Fred Factor. Here’s what I think is the easy answer and to me the screamingly obvious answer: it’s incredibly important. If the customer service department promises what fulfillment can’t or won’t deliver, you go out of business. Ditto if manufacturing isn’t working as a team with sales. If you can’t work effectively with everyone else to deliver to our customers, then you can’t work here. The sports metaphors are endless: If the offensive line goes one way and the running back goes the other – out of business. If the guard passes to the forward and the forward isn’t in synch – out of business. Hopefully one or more of my four friends here will have a good, juicy contrarian answers to this about independent thinking or something. My answer is dull and obvious: if you don’t have great teamwork you will get whipped in business by the company that does. Joe Calloway helps great companies get even better. Teamwork is a word like passion: sounds good but means nothing – a buzzword and not much more. Now, I know some of you team players are spewing coffee out of your nose at that because you love your team. But, let me bring a dose of reality: Teamwork doesn’t work. And that is because someone on the team won’t work. Which means the team didn’t do a damn thing. The truth is a handful of superstar employees got the work done while the slackers were taking up space hiding from the work or covering their butts by looking really busy when they weren’t actually doing anything to get the job done. Businesses need a group of superstar employees who share a common goal and have mutual respect for each other’s abilities. Ask any superstar to name the slackers on their team. They can. A superstar always knows. Slackers love everybody. Leadership must step up their game and cut the dead weight loose. It’s not easy, but it can be done if a company is really dedicated to excellence and to their superstars. And they should be since those are the people doing the work! Larry Winget, the Pitbull of Personal Development©, is a six-time NYT/WSJ bestselling author, social commentator and appears regularly on many national television news shows.